Many scientists working with static oncology data have found ways to leverage PMOD’s unique functionality, although their needs and workflows were not specifically addressed. With the latest 3.9 version, PMOD significantly improves functionality and usability for oncology research. Global “Oncology “configuration for appropriate presets. 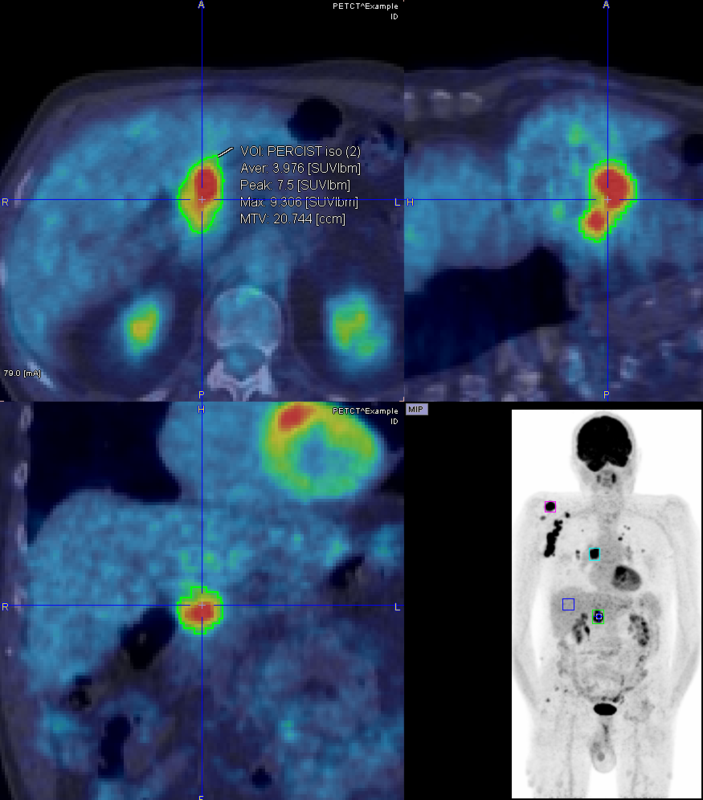 Hot-key driven lesion segmentation: 1ml sphere, iso-contour at absolute SUV, %SUVmax or %SUVpeak. PERCIST style iso-contouring based on 3cm sphere placed in liver. Lesion sorting according to diameter, MTV, SUVmean, SUVpeak, SUVmax. Overlay of uptake statistics in the image besides the segmented lesion. Screen capture documentation of segmentation and statistics. Texture analysis in segmented lesions.